The IMF has just released its biannual World Economic Outlook. Sharp downgrades were made to its growth forecasts for emerging economies, especially Brazil, Nigeria, South Africa and Russia. 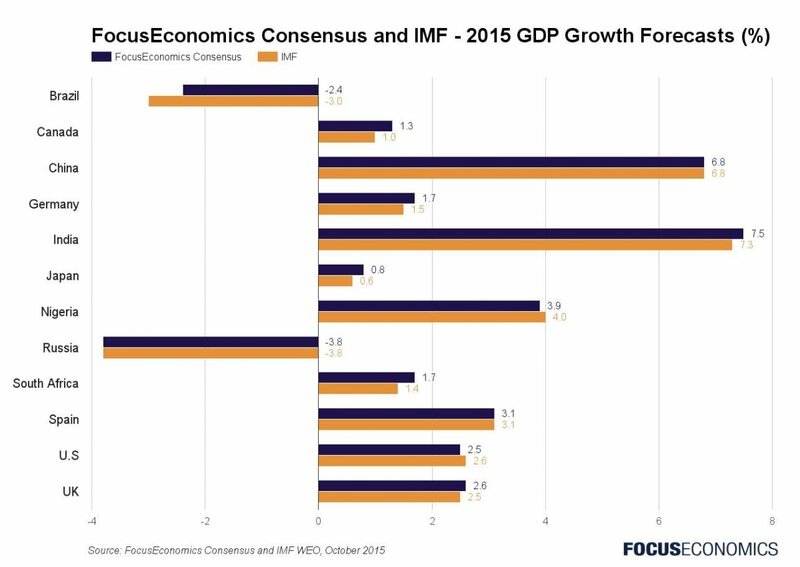 See how the IMF 2015 GDP growth forecasts compare to the latest consensus forecasts from the FocusEconomics’ network of the world’s leading economists. FocusEconomics Economist Teresa Kersting was recently interviewed by online Swiss financial television channel Dukascopy TV, focusing on Germany and its economic outlook in the near future.